Pots de Creme is a dessert that I've tried many variations of over the past couple of years - nutmeg, mocha, vanilla, caramel, even one with a Cadbury egg in the middle - but I always come back to chocolate as my personal favorite. 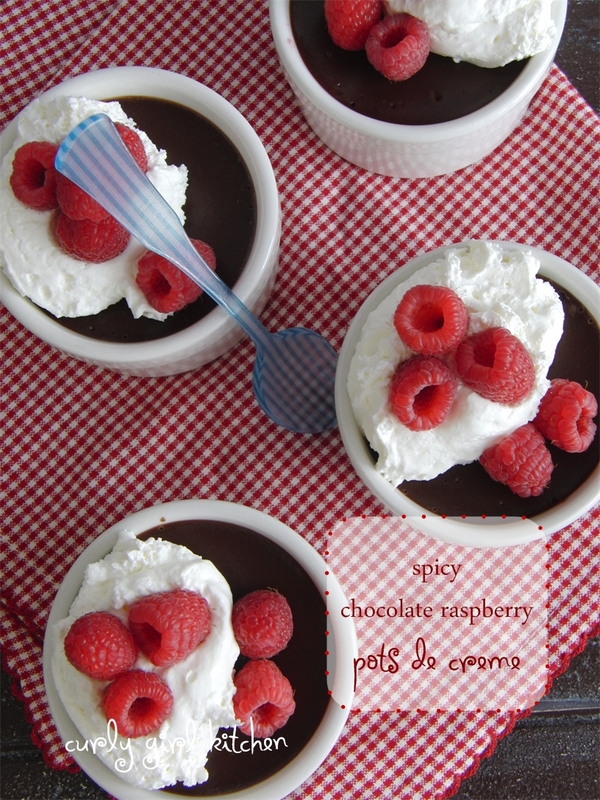 Chocolate Pots de Creme is a classic dessert, and one that will never fail to please. Chocolate is fantastic, in particular, with the addition of a little espresso powder for a mocha pots de creme. Last year for Valentine's, I spooned caramel sauce into the bottom of the ramekins, before pouring the chocolate custard over the caramel and baking them, and the result was incredible, rich and decadent. The first spoonful will surprise your guests, when they dip their spoon into the custard and find a pool of sweet caramel at the bottom. 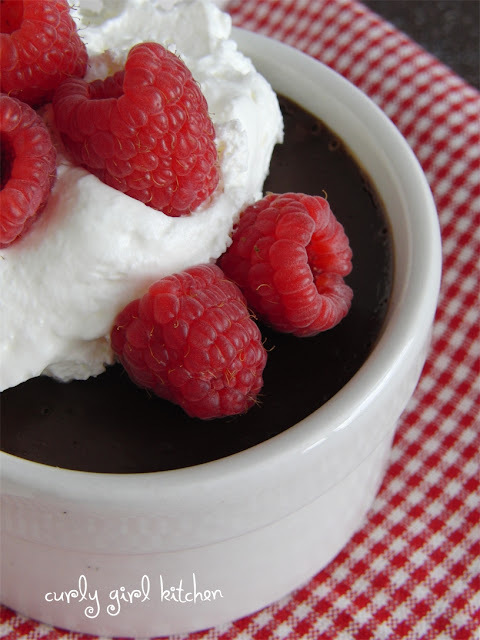 With that deliciousness in mind, I thought I would make chocolate pots de creme with a hint of spice to follow our dinner of Mexican food one weekend (Mexican-stuffed shells with Spanish rice, chips and guacamole and bruleed pineapple). The spice from the cayenne pepper is, of course, entirely optional, but I recommend it. I didn't add so much that it induced fits of coughing, but just enough to add an element of mystery and surprise to the otherwise predictable flavor of the chocolate custard. To balance the spice, I added extra sweetness with a spoonful of seedless raspberry jam in the bottom of each ramekin, and then topped each custard with fresh raspberries and a dollop of fresh whipped cream. With berries at their sweetest and best right now, they are the perfect summer garnish for chocolate desserts like these. Preheat the oven to 300. 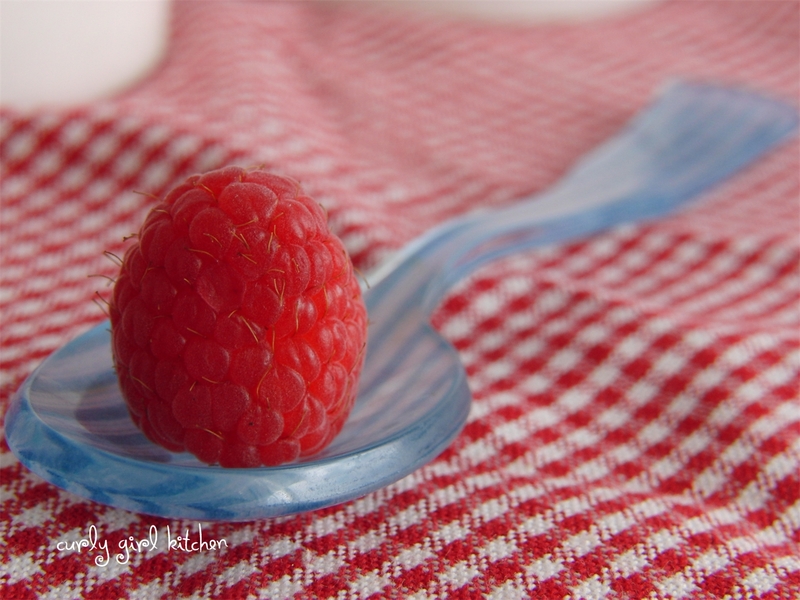 Spoon the raspberry jam into the bottoms of 4 eight-ounce ramekins and set aside. In a small saucepan, combine the cream and sugar. Bring to a gentle simmer over medium low heat, stirring occasionally, just until it bubbles around the edges. Remove from the heat and whisk in the chocolate until smooth. In a small bowl, whisk together the egg yolks and vanilla. Slowly stream a half cup of the cream mixture into the eggs, whisking them constantly to temper the eggs. Pour the egg mixture back into the cream. Whisk in the cayenne pepper, if using it, and taste the custard to check the heat level; the heat shouldn't really be noticeable, just enough to enhance the chocolate. Pour the custard into the ramekins, on top of the raspberry jam. 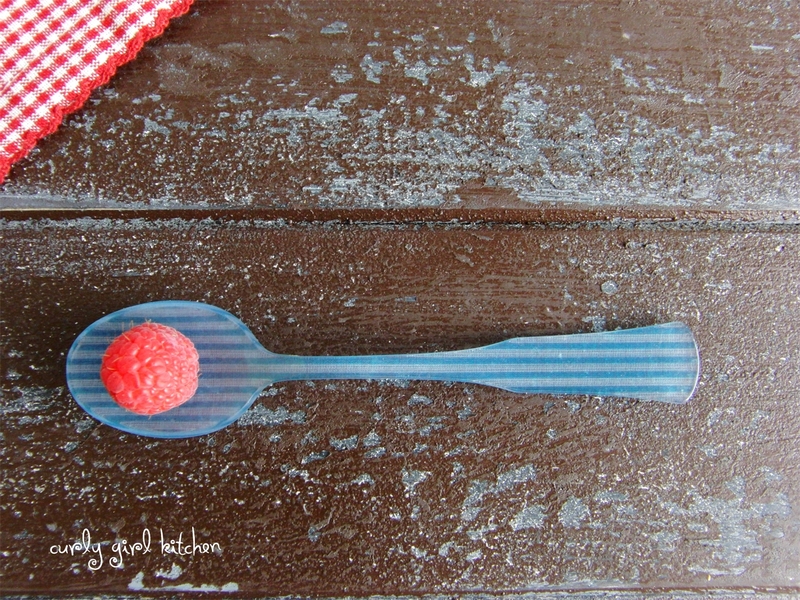 Place the ramekins into a baking dish. Pour boiling, or very hot tap water, into the baking dish, so that it comes halfway up the sides of the pan, taking care not to get any water into the custard. Bake for 20-25 minutes, until the edges are set but the centers are still jiggly. Carefully, remove the ramekins from the water and cool on a wire rack for one hour. Place in the refrigerator to chill for several hours, or overnight, before serving. Top with fresh raspberries and whipped cream.